West Yorkshire Police is receiving more than £8m a year from other local organisations to help pay for dozens of police officers and hundreds of PCSOs, new figures have revealed. The force has revealed that the equivalent of 133 of its police officers and 450 of its non-warranted community support officers are partially paid for by organisations including town halls, local parish councils, schools, universities and hospitals. Across the country, police forces’ coffers are being bolstered by millions of pounds a year in additional cash from external sources, over and above the main taxpayer funding from the government and council tax bills, according to the Daily Telegraph. In West Yorkshire, a total of nearly 133 full-time equivalent police officer roles are funded by external bodies at a cost of £5.2m a year. The force’s FOI response says they include schools, housing associations, shopping centres, universities and children’s services. The overall cost to employ a West Yorkshire Police PCSO is £31,524 a year, and of the 565 employed by the force 450 are partially-funded by outside organisations, at a annual total cost of £3 million. The remaining 115 are entirely paid for by the force itself. A number of parish councils pay out thousands of pounds a year as a contribution towards having PCSOs in their area. Todmorden council contributes £19,000 a year towards the cost of two PCSOs, while Morley town council pays £56,000, representing 30 per cent of the cost of six PCSOs. Parish and town councils in Drighlington, Gildersome and Horsforth also pay for volunteer officers. Among other organisations who chip in for the cost of PCSOs are Bradford Royal Infirmary, Leeds Markets, Wakefield District Housing, several schools and colleges in Bradford and the Owlcotes Centre in Pudsey.West Yorkshire’s crime commissioner Mark Burns-Williamson said last year that it would be “very difficult” to maintain the current numbers of PCSOs in the coming years because of cuts facing police forces and local councils.Andy Cattle, chairman of Drighlington parish council in West Yorkshire, which pays £9,000 a year for a one-third share in a PCSO, told the Telegraph: “Obviously we’d rather it was funded through central taxes but sadly that’s not the case and if we didn’t pay we’d never see the police in the village. North Yorkshire Police gets grant funding from North Yorkshire county council to pay for a police officer based in Scarborough and Harrogate to work with young people who are in care or about to go into care.The funding is for 12 months and pays for the officer to act as a liaison between police and social services. Other than this, the force does not get any external funding to pay for officers, aside from Home Office grants, local precept funding and payments for policing sporting and other special events.Humberside Police said it received £2.8 million in external funding to pay for officers, the majority of which was from the Home Office in the form or two major grants. Seven officers are paid for by income from the safety camera partnership, totalling £389,800. South Yorkshire Police gets £2.4 million from external sources, which covers 41 officers and nine PCSOs. 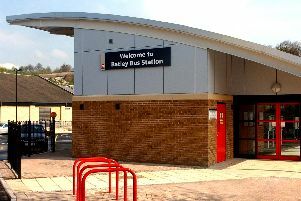 A large proportion comes from the Home Office but organisations such as Crystal Peaks retail park and Outwood Academy in Sheffield also contribute funds.